Creating a Dimensioned element allows you to use one Metric or Report to generate separate visualizations of your organization's individual divisions, subsidiaries or other enitites. In order to create an Element that is Dimensioned, you must have established at least one Dimension that is populated with its Dimension Values. For example, your organization may conduct business in five countries, so a "Country" Dimension is created with a Dimension Value for each; e.g., United States, France, China, Canada, Mexico. 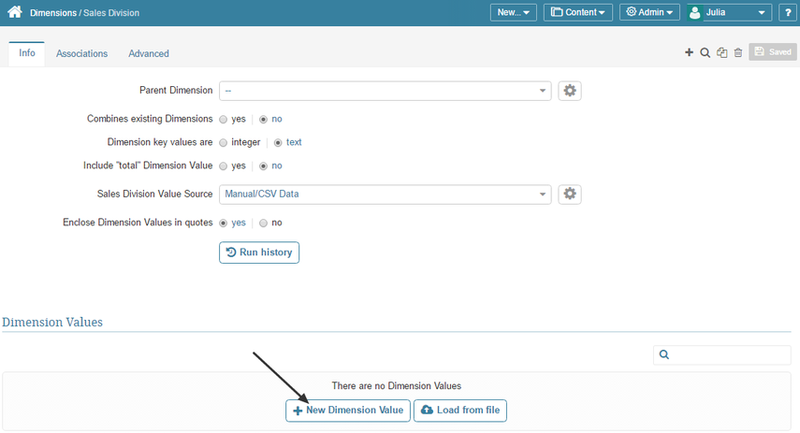 Value Source: Identify how you want to collect Dimension Values for the Dimension. 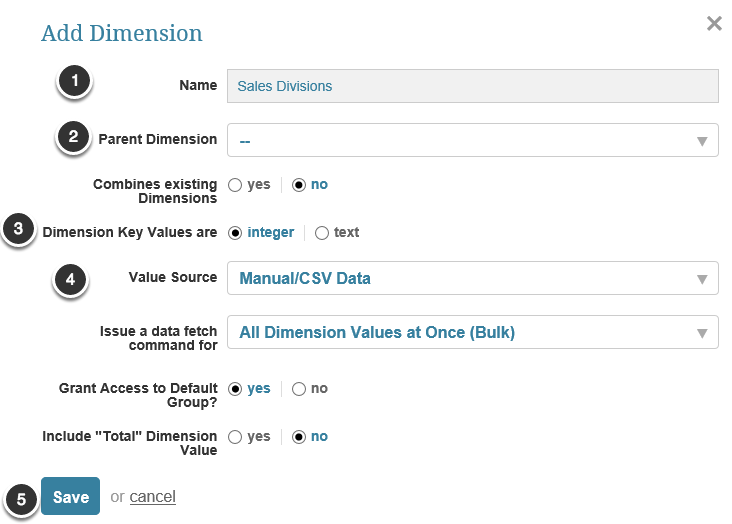 For this example, retain the default "Manual/CSV Data" since this approach is the topic of this article. Save this entries to create the Dimension. Select "yes" to generate a Tile for this Dimension on the Homepage Value value or "no" if no Tile should be created. Repeat this process to add as many Dimension Values as needed.